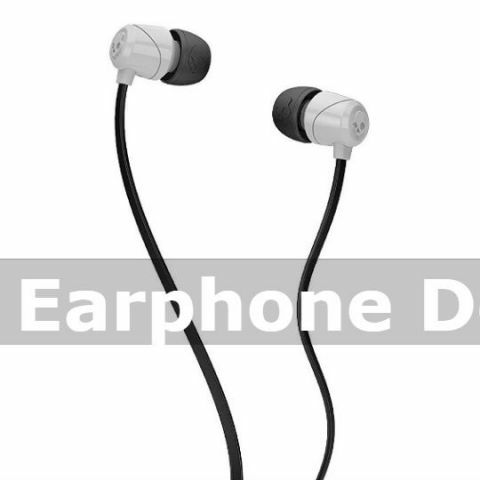 This deals roundup deals with in-ear wired earphones which are available on Paytm under 1k. It includes IEMs from pretty well known brands like Sennheiser, Skullcandy, Philips and more. Are you looking for a good pair of headphone on a limited budget? Then you came to the right place. Today, we’ve created the list of earphones which you can buy under Rs 1,000. The list consists of earphones from brands such as Philips, Sennheiser, Skullcandy and more. The Philips SHE1455 in-ear earphone comes with an in-line remote and integrated microphone that let users take calls. As per the company, the earphones can block out external noise for the enhanced listening experience. You can purchase this device here. The boAt Bassheads 225 in-ear headphone comes with a noise-canceling feature that allows a user to listen to music and take calls in a noisy environment. It has an in-line remote which can be used for picking up calls and to skip tracks. You can purchase this device here. The Skullcandy S2DUDZ-003 claims to offer a complete in-ear seal that restricts the ambient noise. The earphone weighs 100gm and compatible with smartphones and tablets. The earphone comes with 3 ear caps, you can choose one that best fits your ear. Take a look at this device here. The Sennheiser MX 170 comes with a tangle-free cable with 2 years of warranty. The earphones are equipped with the passive noise-cancellation and has an impedance of 32 ohms. You can purchase this device here. The boAt Bassheads 180 is equipped with the noise-canceling microphone. The earphone comes with a tangle-free flat cable. You can purchase this device here. The Sennheiser CX 180 seems to be quite popular among users. According to the company, the earphones have passive noise-cancellation which can block the outside ambient noise. It should be noted that Sennheiser provides a two-year warranty that does not cover physical damage. You can purchase this device here. Are tekfusion twinwoofers perfect in ear phones under Rs. 1.5K ...??? ?